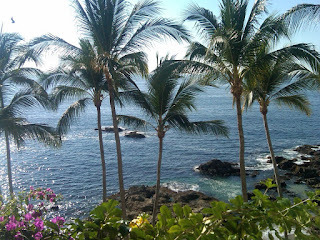 Last week, the family went to in Puerto Vallarta. It was our first real vacation in a long time. I decided to make it a real vacation for myself. I unplugged from the internet, facebook and twitter. The following is part of my travel log that I wrote while in Mexico. The first step to get anywhere is to travel. Going to our time share, Lindo Mar, in Puerto Vallarta means travel by plane. But, as everyone knows traveling with a baby is not easy. We had a direct flight from SFO, so we knew that it was not going to be too long of a day, but 3.25 hours on a plane with a 9 month old that would be rather crawling around than sitting in parents’ lap is more than enough. It wasn’t that he was bad, it was just we couldn’t satisfy all his wants; namely, his desire to move around. The good/bad about this was that there were a lot of kids and babies on the flight. Cooper was not the loudest one, but occasionally one kids cry would feed another and then another. O, so much fun. I feel for the few people that were not traveling with kids on our plane. After landing we made our way to immigration. Like all immigration lines, it was long…. But as we were moving through the line, an airport worker said that since we were with a kid we didn’t have to go through that line… Go over here (the line for Mexican residents. Now, after traveling to Mexico with a friend a while back, one thing that I learned was when some says go here and that line is a lot shorter, don’t ask questions just move to that line. So, immigration only took 20 minutes versus what looked to be 45 – 1 hour. Finally, a bonus for having a kid. Went through Customs and Customs Rolette. Didn’t get picked, so off to the taxi stand. We avoided all the sales persons for time shares and “prepaid” transportation offers; a short taxi ride we arrived at Lindo Mar on the Southside of Puerto Vallarta. This is almost the complete opposite side of the Hotel Zone, which I like. The place is set into a hillside, so while the entrance to the lobby is non-descript, the rooms face the ocean (okay really the Bay of Banderas). So entering our room, you can see the water and hear the waves. This is what I came for; the peace and relaxation of the water. Far enough away that I feel that I can escape work, but close enough that it is only a half day of travel door to door. The first night we ate at the Lindo Mar Resort restaurant, La Playaita. I was not expecting much, but I liked the food. Glad to have a good place that is also the room service when needed. Prices typical hotel prices, but not outrageously high. For rest of the evening we headed into town to see some of the processionals at the Church of Our Lady Of Guadalupe . We happen to be in Puerto Vallarta on the last two days of Dia de Nuestra Señora de Guadalupe (Festival of Our Lady of Guadalupe).